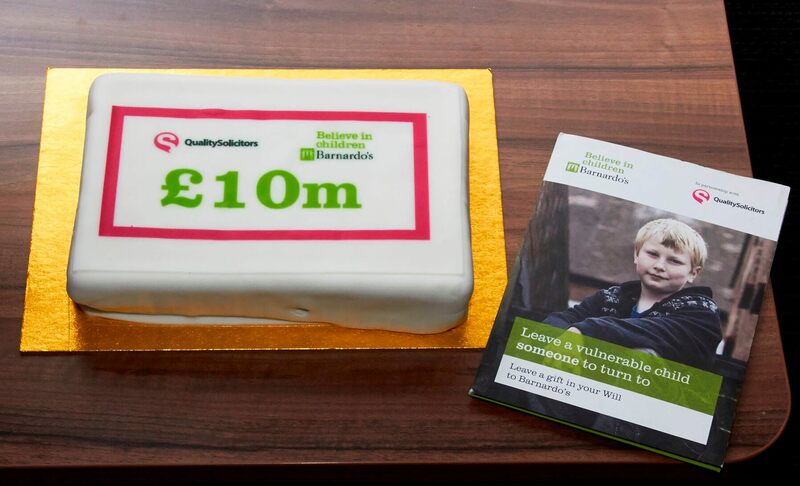 The clients of QualitySolicitors branches, like ours, across the UK have pledged £10m to help vulnerable children supported by Barnardo’s, thanks to the success of the Free Wills Scheme initiative, which is running throughout March here at our Wallsend office. Individuals or couples over the age of 55 are eligible for the QualitySolicitors Free Will Scheme, which has been running for five years, in association with Barnardo's. Barnardo's offers to pay our fee, in the hope that clients will consider leaving a gift to the charity in their will, so that Barnardo's can continue their work in the future. Almost 3,000 have participated in the scheme so far, leaving lasting legacies to the children's charity. “It’s amazing for our partnership with QualitySolicitors to have hit the £10m mark, we’re so grateful to those who have made a commitment to the children, young people and families that we work with. Gifts left in Wills are our lifeblood and by remembering Barnardo’s alongside family and friends, our supporters are helping to ensure now, that vulnerable children and young people who we work with will have someone to turn to in the future. Everyone who participates in the scheme and remembers Barnardo’s with a legacy, large or small, will contribute to the transformation of the lives of those we work with. We are so grateful." £7,000 could cover the cost of a six-month intensive programme to divert a young offender from crime. £100 could provide an exploited child with one-to-one support sessions with a practitioner. For more information, or to book an appointment for your free will, call us on 0191 262 5133.